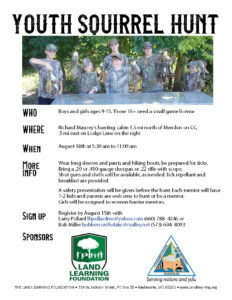 Join us August 18th at 5:30am for 2018 Youth Squirrel Hunt. Register by filling out the form below or calling (660)788-4246! Ages 9-15. Anyone 16+ will need small game license.